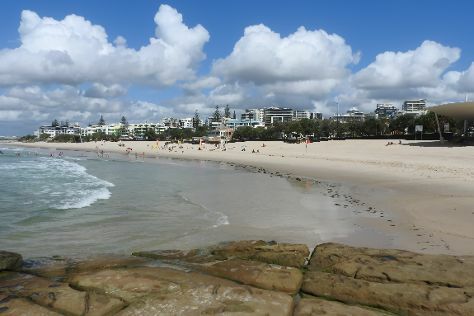 You'll discover tucked-away gems like Burleigh Head National Park and Kirra Beach. Get in touch with nature at Scuba & Snorkeling and Zipline. Explore the numerous day-trip ideas around Brisbane: Caloundra (Kings Beach, Bulcock Beach, & more), Tamborine Mountain (in Gold Coast) and David Fleay Wildlife Park (in West Burleigh). Spend the 1st (Mon) exploring nature at Springbrook National Park. Spend the 22nd (Sat) observing fascinating marine mammals with a dolphin and whale watching tour. There's still lots to do: explore the galleries of Tweed Regional Gallery & Margaret Olley Art Centre, see the interesting displays at Queensland Museum & Sciencentre, stroll through Greenmount Beach, and hike along Mary Cairncross Scenic Reserve. To see ratings, reviews, where to stay, and tourist information, use the Brisbane trip itinerary builder website . Expect a daytime high around 24°C in June, and nighttime lows around 13°C. Wrap up your sightseeing on the 7th (Sun) early enough to travel back home.